A solenoid valve is an electromechanical valve controlled by an electric current. 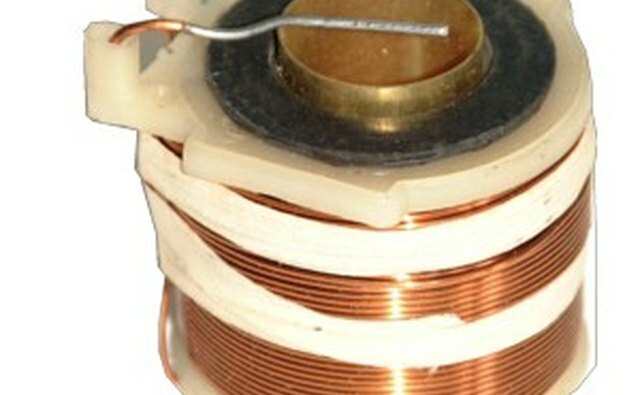 The electric current runs through a solenoid, which is a wire coil wrapped around a metallic core. 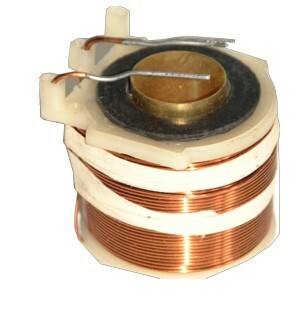 A solenoid creates a controlled magnetic field when an electrical current is passed through it. This magnetic field affects the state of the solenoid valve, causing the valve to open or close. 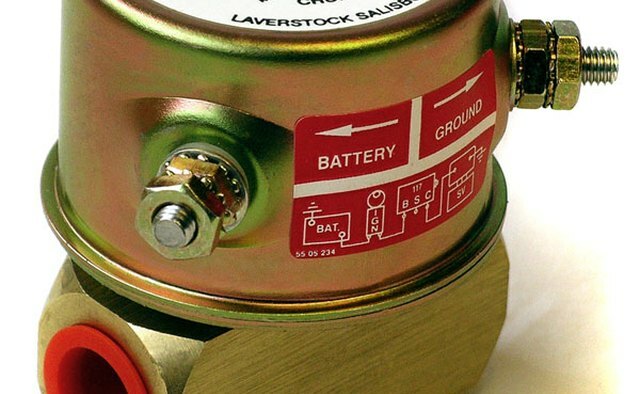 Diesel fuel shut-off solenoids transport diesel fuel from a machine's gas tank to its engine. A diesel fuel shut-off solenoid is attached to the machine's main electrical system, which can monitor and detect abnormal temperatures or mechanical malfunctions. Should something go wrong, the electrical current running to the solenoid will be interrupted, causing the solenoid valve to close and shutting off the supply of diesel fuel to the engine. The mechanical force in a diesel fuel shut-off solenoid is the solenoid coil, which converts electrical energy into magnetic energy that is used to modulate the valve. 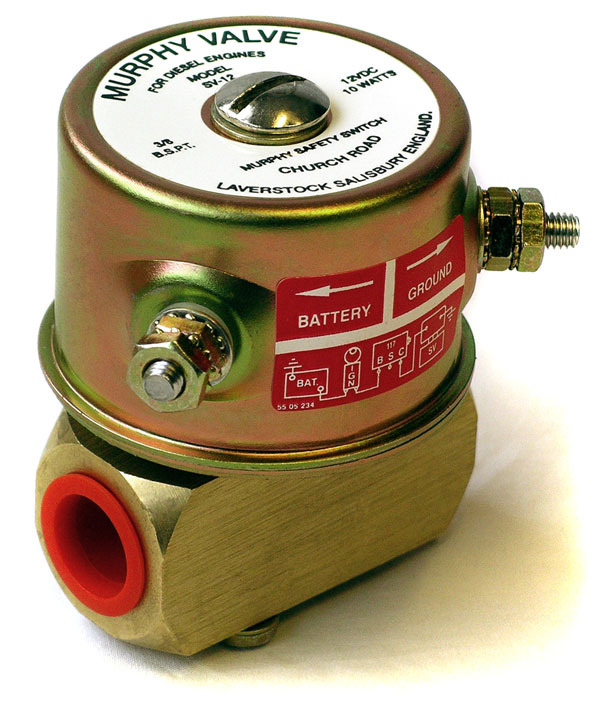 A diesel fuel shut-off solenoid contains an inlet pipe, which transports the diesel fuel from the fuel line to the solenoid valve. The valve consists of a rubber or plastic stopper that is held against the inlet pipe to seal it closed. The front end of the stopper contains a rubber O-ring, which seals the inlet pipe and prevents the diesel fuel from entering the solenoid valve. The stopper is held in place by a metallic spring attached to the back end of the stopper. The stopper is also attached to a metallic pin via a metal bar that runs perpendicular from the pin to the stopper. The pin is located near the solenoid coil. When the solenoid coil is activated, the magnetic field draws the pin back, which pulls the stopper back and breaks the seal with the inlet pipe, allowing the diesel fuel to enter the solenoid valve. Unlike a regular solenoid valve, diesel fuel shut-off solenoid coils are attached to sensors that are capable of receiving and interpreting electronic signals from the machine's main electrical system. If the sensors detect a dangerous problem with the machine's operations or engine, the electrical signal running to the solenoid coil will automatically shut off. When the solenoid coil is deactivated, the force of the spring pushes the stopper back into place against the inlet pipe, sealing the pipe and shutting off the flow of diesel fuel to the engine. Diesel fuel shut-off solenoids are different from pumps in that there is no mechanical device to force the diesel fuel through the valve. As a result, it is extremely important for a diesel fuel shut-off solenoid to have a pressure differential between the outlet pipe and the inlet pipe. Specifically, the inlet pipe must have higher pressure than the outlet pipe to force the diesel fuel through the solenoid valve. Equalized pressure within a diesel fuel shut-off solenoid will prevent the fuel from flowing though the valve, regardless of the state of the solenoid and the stopper. What Is a Hydraulic Differential Valve?